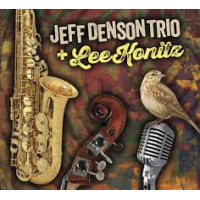 Bassist Jeff Denson has been showing his abilities as a singer on several recent recordings. He performed a couple of The Beatles' songs on the San Francisco String Trio's May I Introduce To You and did Jeff Buckley's "So Real" on the Negative Press Project's Eternal Life: Jeff Buckley Songs and Sounds. Here he devotes an entire album to his vocals, singing the work of Buckley, Peter Gabriel, Abbey Lincoln and Soundgarden's Chris Cornell, in addition to several of his own songs. 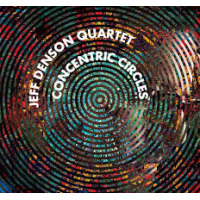 Denson has a strong, melodious tenor voice that, at times, resembles Jeff Buckley's, something really noticeable as he sails over the jazz-rock flow of Dayna Stephens' tenor sax and Kari Ikonen's electric piano on Buckley's own "Grace." The resemblance also shows in his maneuvering of the dark, snaky groove of Cornell's "Fell On Black Days" and the quivering soulfulness he brings to Gabriel's powerful love song, "In Your Eyes." On Abbey Lincoln's "Bird Alone" he becomes more of a torch singer, singing mournfully in Lincoln's sharp cadences over the soft tumbling of his own bass, Ikonen's piano and Ronen Itzik's drums. Denson's original songs give more of a spotlight to the full band. The rising and falling union of synthesizer, saxophone and bowed bass sets the tone on "Brand New Day" while "Through The Mist" has Ikonen's restless electric piano and Itzik's chugging drums setting the atmosphere as Stephens' tenor and Denson's wordless voice moan on top. "Have We Really Gone This Far?" 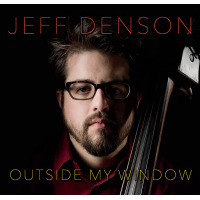 matches a creamy, soaring vocal to a deliberately clunky musical accompaniment effectively and "Outside My Window" is a woozy, sleepy-eyed blues on which Denson croons above swaying baritone sax and synthesizer before plucking his own tipsy bass solo. If Denson just wanted to concentrate on his singing, he would probably gain a following. He has a distinctive voice with an element of vulnerability and his original material has an inventiveness and flexibility that might go over well in progressive jazz-rock circles. Whatever his future holds, hopefully he will not leave the bass behind because he sounds really good on that instrument as well. For the present, he has put together a really impressive vocal showcase for himself. Track Listing: Grace; In Your Eyes; For A Brand New Day; Have We Really Gone This Far? ; Through The Mist; Bird Alone; Fell On Black Days; Outside My Window. 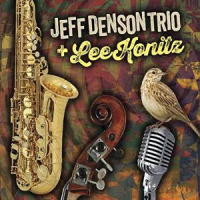 Personnel: Dayna Stephens: saxophones; Kari Ikonen: piano, keyboards; Ronen Itzik: drums; Jeff Denson: bass, voice.